Michelle from Scrap and Stamp with Michelle. 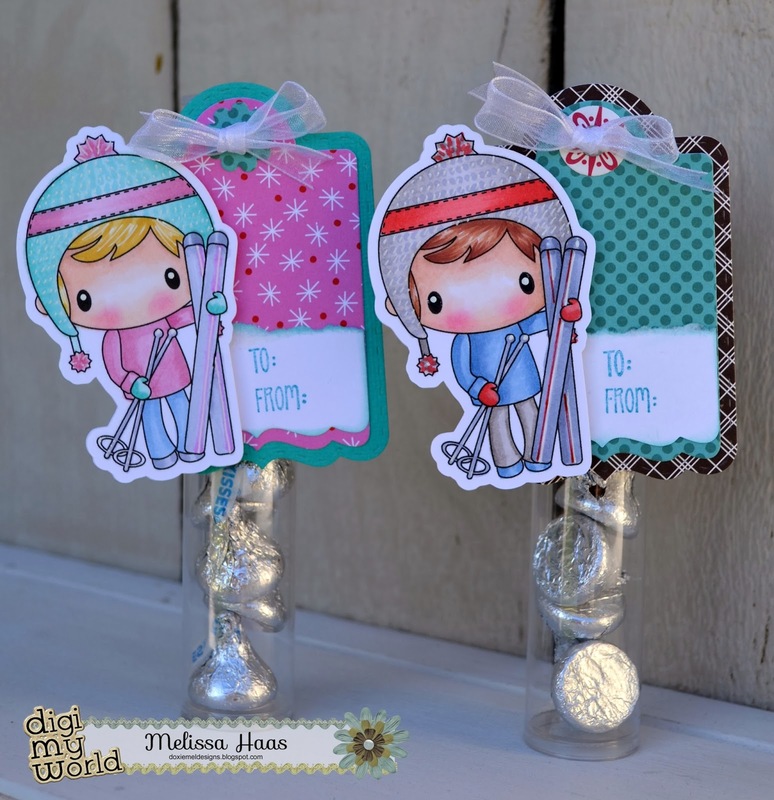 You have won this adorable Digital Stamp set from Digi My World! ... you have 2 weeks to claim!! Hello everyone! This is GiGi from The Cricut Bug and I have a project to share. This is a gift bag and card all in one! I used the newly released Winter Boys Set for that fun snowboarder. I used the SVG Cutting File A2 Card Bag to cut the bag and the Curved Fold Over Base for the card. I printed and colored the snowboarder with Copic markers. I hand cut him out and I stamped the sentiment using My Craft Spot's Birthday Wishes stamp set. 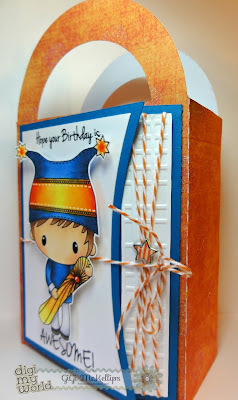 I wrapped some twine around the side of the card and used a star brad to hold it in the center. Before adding the card to the bag base, I wrapped some twine around for a closure and glued it onto the bag. 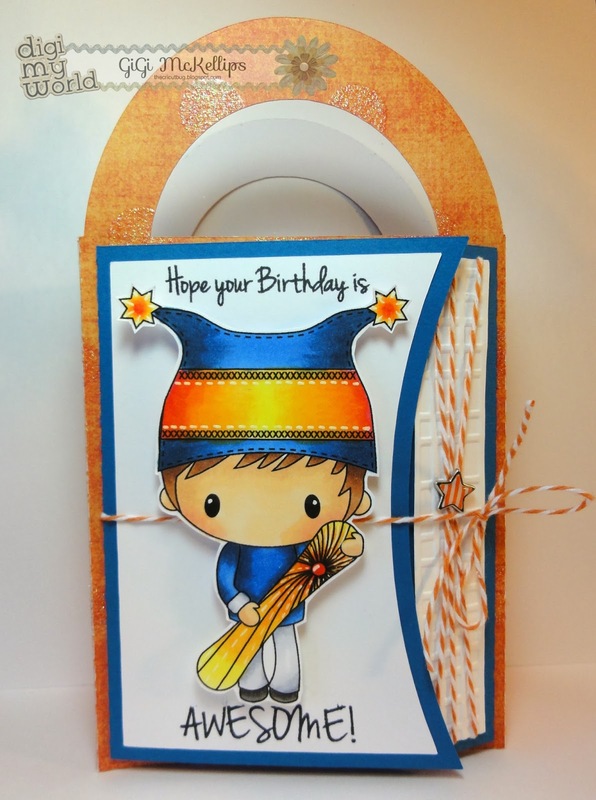 Then I tied the card shut using the twine. Don't forget, TODAY is the last day to leave your comments for a chance at one of these super cute digi stamps! The more posts you comment on this week, the more entries you get! 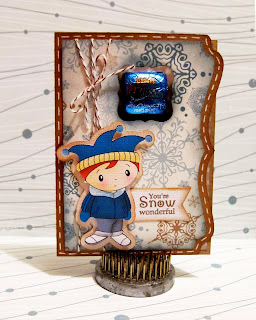 Hello everyone, it's Barb From BugBites with a new project showcasing a the brand new digital stamp set, Winter Boys. You can also get this set in digital clipart that is all colored up for you ready to print and put to use just in case you don't feel like pulling out all those markers. I love the rich colors of the dark reds, rich teals and browns together for winter cards. 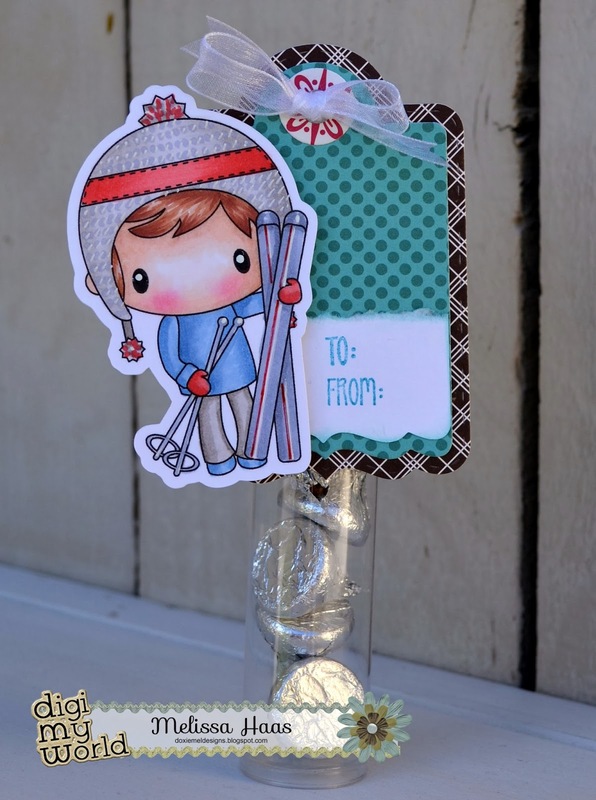 I colored my little ski guy on the cameo to match my paper color, then printed and cut him out. 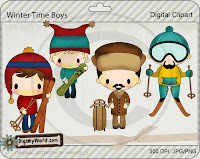 You could win the entire Winter Boys set by just leaving a comment every day her at at Digi My World. One lucky comment will be selected. The more you comment, the better your chances. Hello Everyone! Happy Week before Christmas!!! 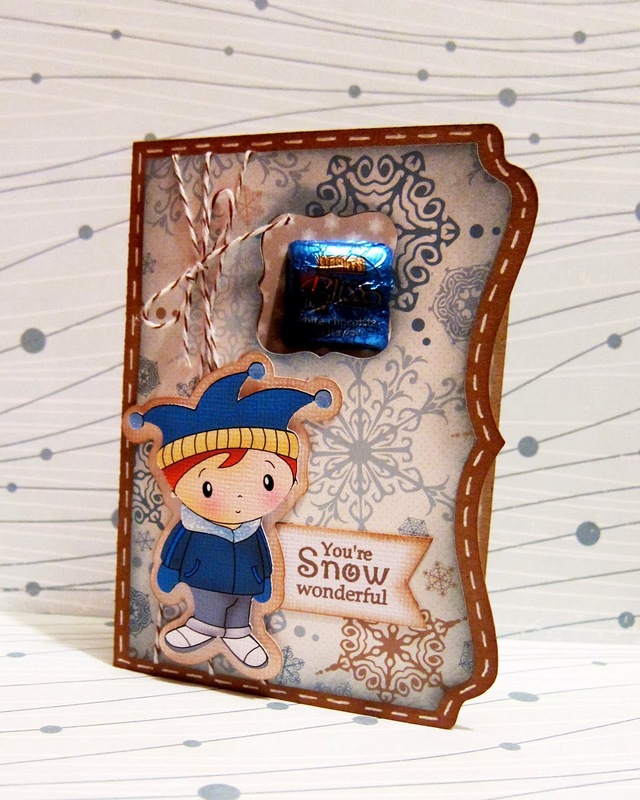 It's Larelyn from Handmade From My Heart bringing you another sneak peek of our new Winter Time Boys set that will be in the store on Friday. I love, love, love coloring DMW digi stamps - they are always so much fun! You'll find information on how you could win the complete set at the bottom of the post. Here's the front of the card. It's hard to see, but I used Glossy Accents on the goggles and skis. And here's a side view to see a little of the dimension. You could win the entire Winter Time Boys set. Just leave a comment every day. One lucky comment will be selected. The more you comment, the better your chances. This is my last design team post until the new year. Leave comments this week at the Digi My World Blog for a chance to win this adorable set! Good Luck! 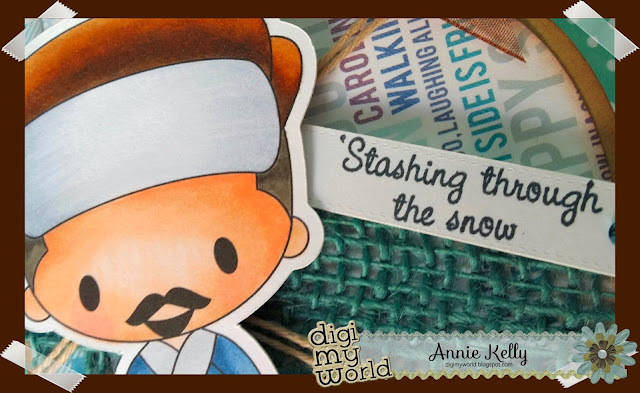 Stashing Through the Snow - Digi My World Winter Boys release party! 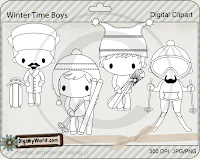 This week is the Digi My World, Winter Boys digital Stamp release party!! I made this adorable card, most likely giving to my brother! To make this masculine card, I used the Arched card Base, added some teal burlap, & Totally Kraft Twine. I added a Sheer Brown bow, a cute sentiment from Love Mustaches and some rhinestone bling to a Mini Tag Die. Sorry I forgot to pay attention to the Copic Combos I used... since I did this card in a last minute haste!! Hope you enjoy... 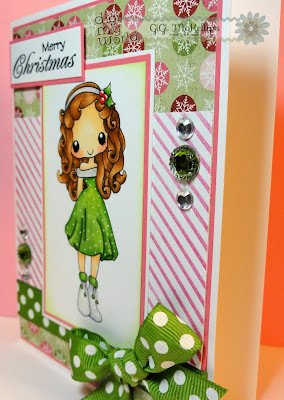 I will be adding the GC Die to the inside to surprise my brother with a holiday Gift card! 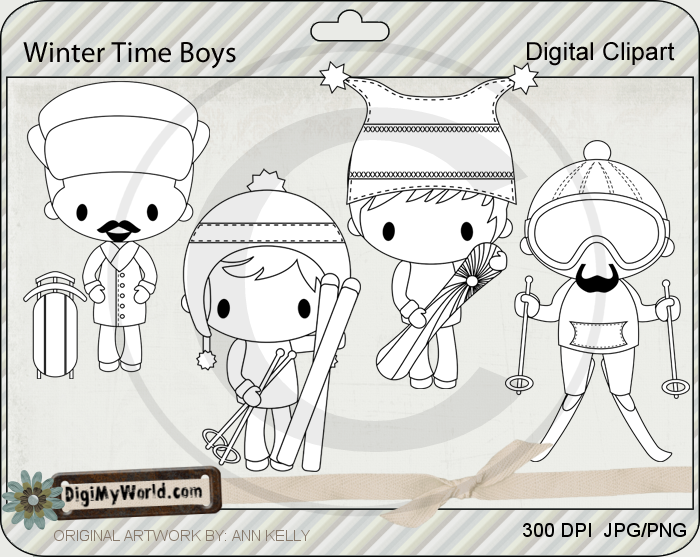 WANT TO WIN the Winter Boys Digital Stamp Set? 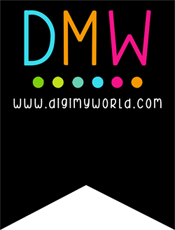 Simply comment on this post for a chance to enter..and make sure to visit the DigiMyWorld Blog all week long for other creations from the DT... comment on their projects as well ALL week..the more you comment..the more chances you have to win! If you are not currently following this blog... I would appreciate a follow too!! Aren't these little guys so cute? We have an exciting week next. 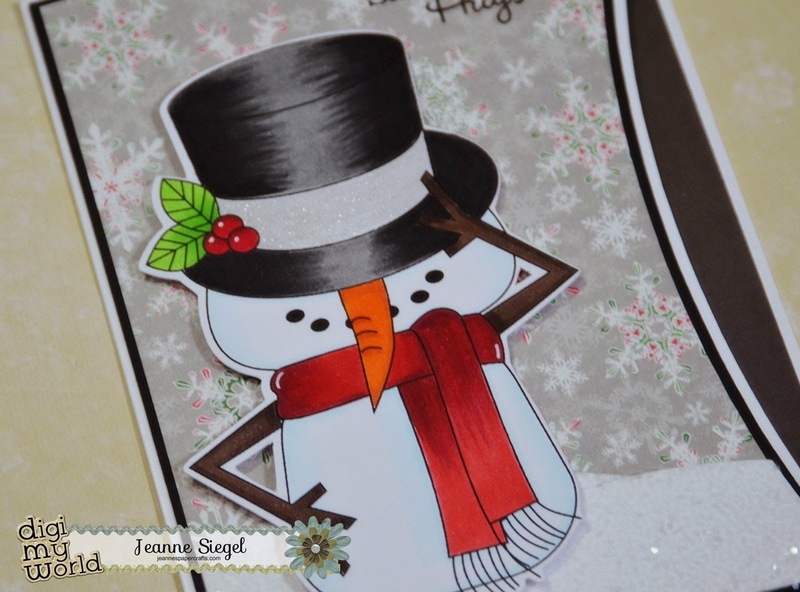 You'll be seeing daily sneak peeks of Annie's new winter release which will be in the store on Friday December 20th. You're going to LOVE it!!! Hello everyone! 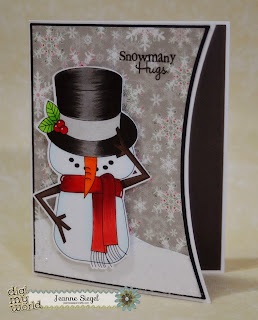 This is GiGi from The Cricut Bug and I have a super cute Christmas card to share with you. 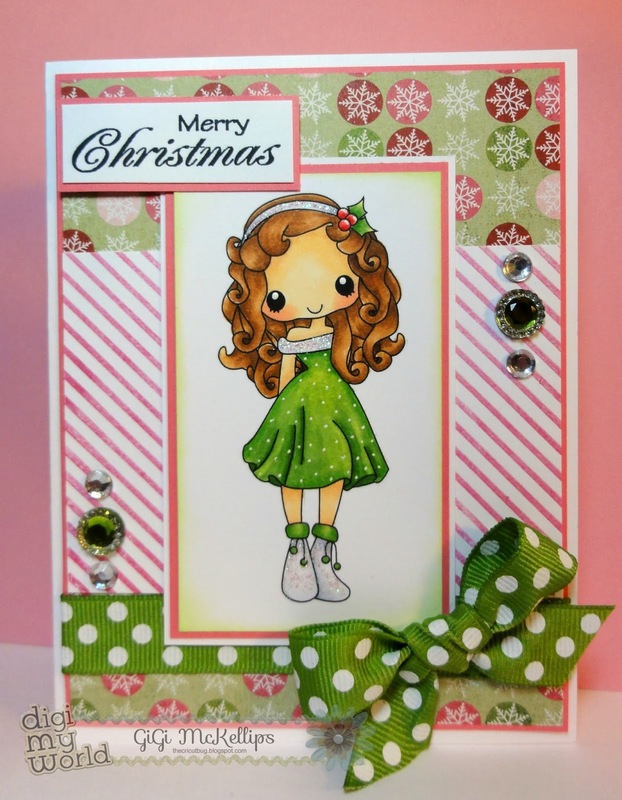 I used the Santa's Helper-Emily for this card. Isn't she adorable? I colored Emily using Copic markers and added some Stickles to her headband and shoes. I used a white gel pen to add the dots on her dress and the highlights on the berries. 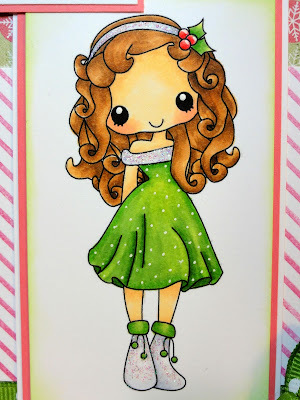 I inked the edges of the mat in a light green and stamped the background stripe. I added a bow to the bottom and some gems to the corners. 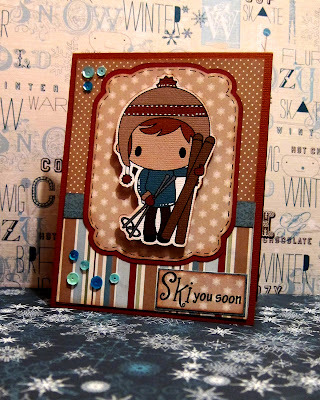 To finish I added the stamped sentiment and added it with pop dots. I hope you all like my card and thanks for stoppin in! Hey everyone, it's Barb from BugBites with a little card to celebrate all the snow so many of us are seeing this week. The cute digi I used is called Winter Blues. It is listed under the Winter category. I actually used the clipart version of this digi stamp today. I am not always confident in my coloring skills nor do I have a ton of markers to make those wonderful color combos. But by using the clipart, it was all colored up nicely for me. I brought the image into the Silhouette software and did a quick trace followed by making a shadow layer before printing and cutting it. I actually was able to get 6 of these on a 12x12 sheet of paper. The card base is an svg file from SVG Cutting files. Before cutting it, I added a little shape to the front so my treat would show through. I did the same to the mat that comes with the card base. It's Larelyn from Handmade From My Heart. Today is my day to share with you. 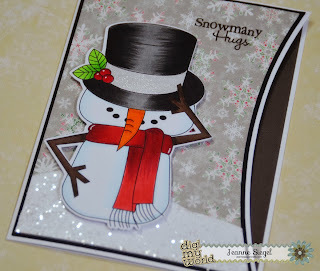 I'm on the downhill slide towards completing my Christmas cards. I try to send as many hand-colored ones as possible but I must admit that my Cameo and some SVG Cutting Files may bail me out in the end LOL. 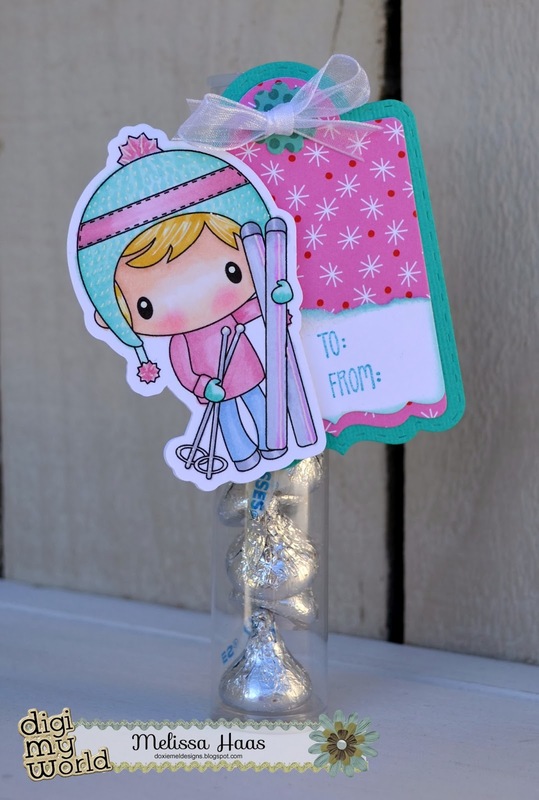 For this card I chose one of the adorable penguins from the Chibi Penquins set. You can find the entire set HERE. Thanks for stopping in today. The design team will be posting all week so be sure to check back each day. Good morning! 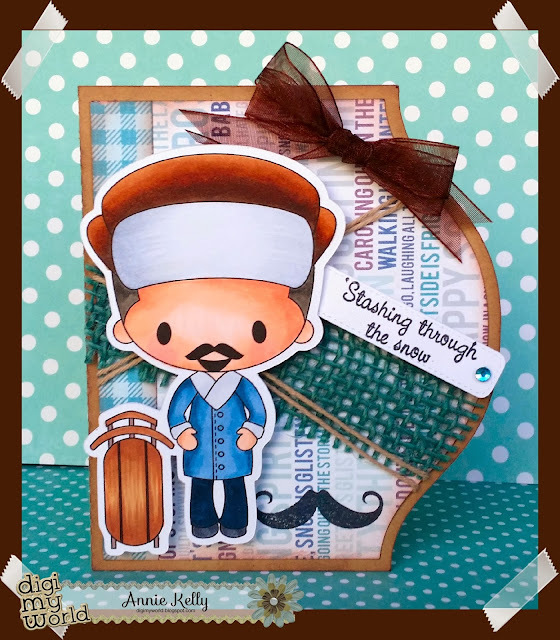 Jeanne here, from Jeanne's Paper Crafts to share a new design team project with you! I'm having a blast being part of this team and even my Copic coloring is getting better too! 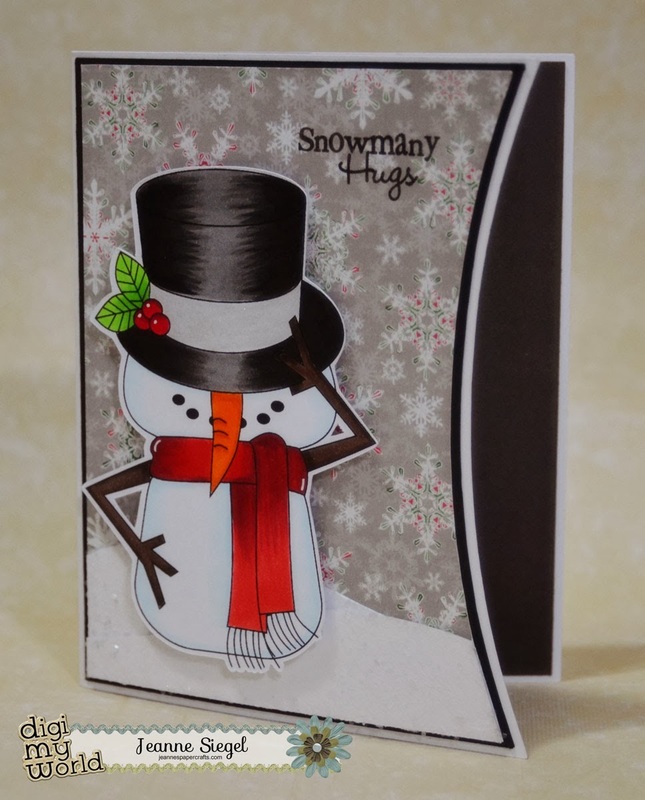 This adorable snowman is part of the Traditional Snowmen Digital Stamp set which can be found here. 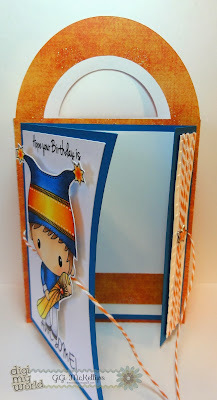 For the base of my card, I used one of the new Fold Over Card Bases over at SVG Cutting Files. I didn't want the fold over part, so I just used my Silhouette Studio to modify the base a little. I printed and cut my image with my Silhouette Cameo and then colored it in with Copics. 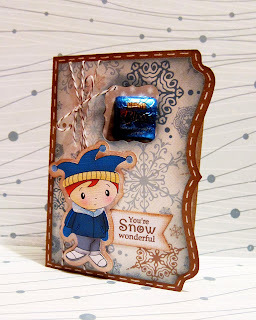 To make the snow, I cut some white cardstock with one of the My Creative Time Fun Stitched Edges dies. Then I put it through my Xyron Sticker maker and poured the Martha Stewart Glitter on it to completely cover it.